Panna Cotta (Italian for cooked cream) is an Italian dessert with a creamy, yet Jell-O like texture. The first time I tried Panna Cotta I knew that there was gelatin in the recipe, so I was a little apprehensive about trying it since I am not a huge fan of gelatin type foods. However, I was soon very glad that my grandmother made me eat the Panna Cotta, because like most other foods I have been afraid to try, I fell in love! Recently, my boyfriend and I were at a wine and dinner event at the Wentworth by the Sea Hotel, and for dessert, guess what they served? Panna Cotta! But not just any Panna Cotta - a caramel/chocolate Panna Cotta! 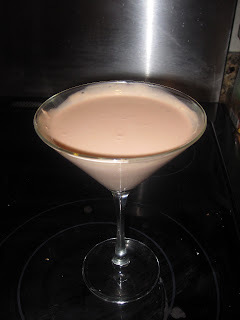 Now, since I am an enormous fan of anything chocolate, I waited all but a few days to go straight home and make my own chocolate Panna Cotta recipe with a stylish twist! Place milk and gelatin in a heavy saucepan and let sit for about 5 minutes. Then, stir the milk and gelatin over medium heat until the gelatin dissolves (about 2-3 minutes). Do not boil the milk. Add the cream, cocoa powder, sugar, and pinch of salt. Stir over low to medium heat until the sugar dissolves (about another 2-3 minutes). Remove from heat and let cool for a few minutes. 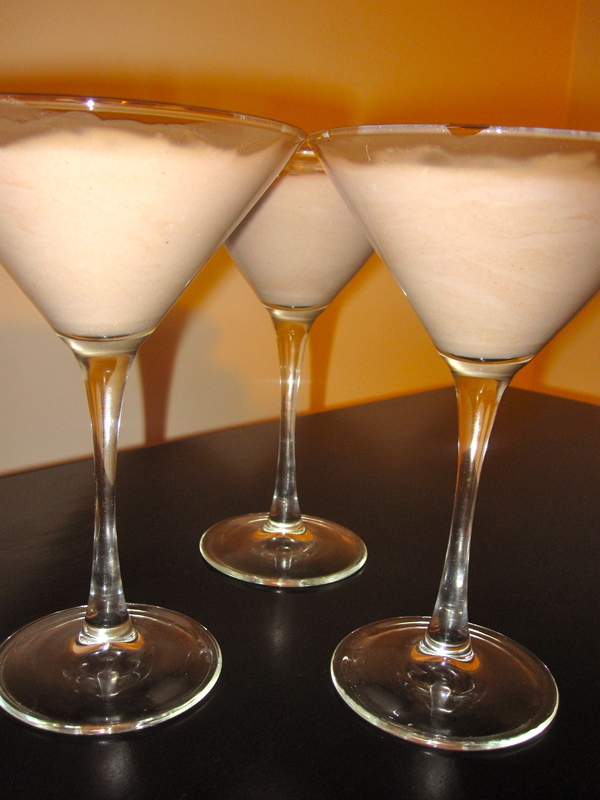 You can then pour the mixture into ramekins, or, to jazz it up - martini glasses! Place the martini glasses in the refrigerator and let chill. Be sure to stir every 15 minutes or so during the first hour. This will prevent a skin from forming. After the first hour, make sure to cover and refrigerate for about 6 hours or up to overnight to allow the Panna Cotta to set. Meanwhile, using a vegetable peeler on your blocks of chocolate, create little or big curls to sprinkle on top of the Panna Cotta. For small shavings, make sure the chocolate is very cold. For medium-larger curls (like in the photos), let the chocolate warm slightly before shaving. When ready, dig into the Panna Cotta with a spoon and enjoy! For a different flavor, you can always replace the 3 teaspoons of cocoa powder with 3 teaspoons of instant coffee powder or whatever flavor you prefer! ooh you've hit a weak point since I just adore panna cottas. I serve them in glasses or molds but generally eat them the same: just attack them since they're so good. I've tried many flavours but funnily enough, not chocolate. I love the sound of yours and will give it a go very soon. Looks delicious! mmmmm this looks so great! I hear you, Im not a huge fan of gelatin either but this looks delicious! Oooh this sounds delicious. I love the way it looks in martini glasses and with the large shavings of chocolate. Beautiful presentation! Mateja, I have never used either of these, but I have heard of people using pectin or something called agar agar to replace gelatin. Hope that helps! Mmmmmm...that last photo is wonderful! I'd love a bite right now!! !